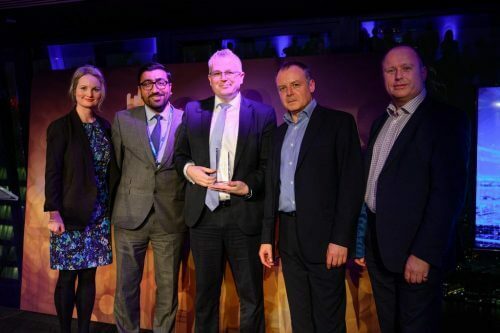 PickMeUp, Oxford Bus Company’s on-demand ridesharing minibus service, was awarded the title of ‘Most Innovative Customer Service Operator’ of the year at the recent Transport Ticketing Global Awards. At the ceremony, held at London’s Landing Forty Two – the capital’s highest dedicated conference and event space – judges had high praise for the service: “This on-demand scheme is ahead of the game,” they said. Phil Southall, Oxford Bus Company Managing Director said: “The award recognises the vision of Oxford Bus Company and Go-Ahead to ensure a world where every journey is taken care of and our commitment to innovate and embrace technology to deliver an ever-improving customer experience. “PickMeUp uses the very latest mapping and coordination technology.